I try to find evidence that refutes my theses on expected market returns to avoid behavioral traps. 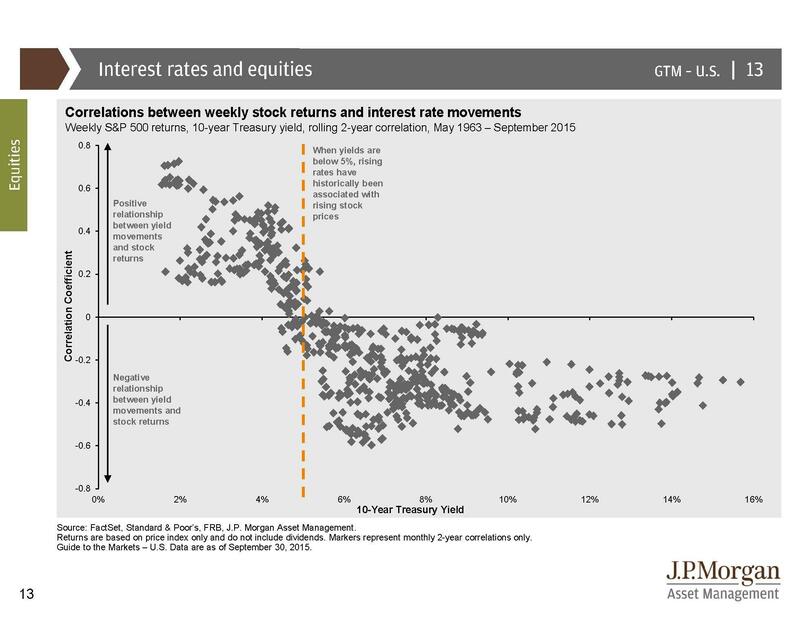 This graph from JP Morgan Asset Management’s research team offers some optimism for equities for rolling two-year periods if the Fed starts to raise while 10-Year Treasury yields are still below 5%. But, the shape of this historical curve is due to conditions that might not exist now. Rates are usually low when the economy has endured a “normal” recession so rising rates indicate a turn toward a more robust economy. Could that be true now? This entry was posted in Uncategorized and tagged Behavioral Finance, Debt Crisis, Employment to Population Ratio, JP Morgan Asset Management, Quantitative Easing, Risk, Robert Shiller, Stock Prices vs Treasury Yields, The Rational Optimist. Bookmark the permalink.